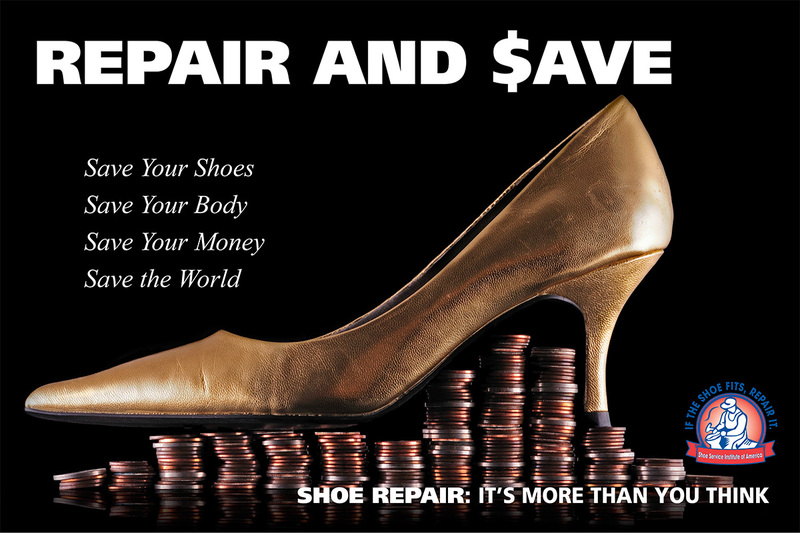 Shoe Repair … It’s More Than You Think! Footwear isn’t just part of your wardrobe, it is an investment. Spend your money wisely and the return will be more value for your dollar, more comfort, better foot health and even a sense that you are helping the environment. Quality, well-maintained men’s shoes can be resoled seven to 10 times at a fraction of the cost of new shoes. With new soles and heels, and reconditioned uppers, the shoes will look like new, yet retain that broken-in, comfortable feel. It is not uncommon for a man to get 30 years out of a good pair of shoes. Quality women’s shoes can be resoled three to five times. Shoes are a reflection of their owner’s personality. That’s what both personnel professionals — who have been known to observe people closely — and white collar workers (the people they usually observe) said. Well kept shoes stand for professionalism, attention to detail, ambition, efficiency, conscientiousness, organization, confidence and even friendliness. Finally, shoe repair is among the oldest forms of recycling. Each year, the shoe repair industry keeps some 62 million pairs of shoes out of landfills and on consumers’ feet. So next time you invest in footwear, get some advice from a shoe repair professional.